TD&H Engineering led the architectural and engineering team to provide design and construction administration services to the Lincoln County Parks and Recreation District and the City of Davenport for a new swimming pool facility. The consultant team included TD&H Engineering, Pool World, Denny Christenson & Associates Architects, Sherry Pratt Van Voorhis Landscape Architects, and GeoEngineers, Inc. 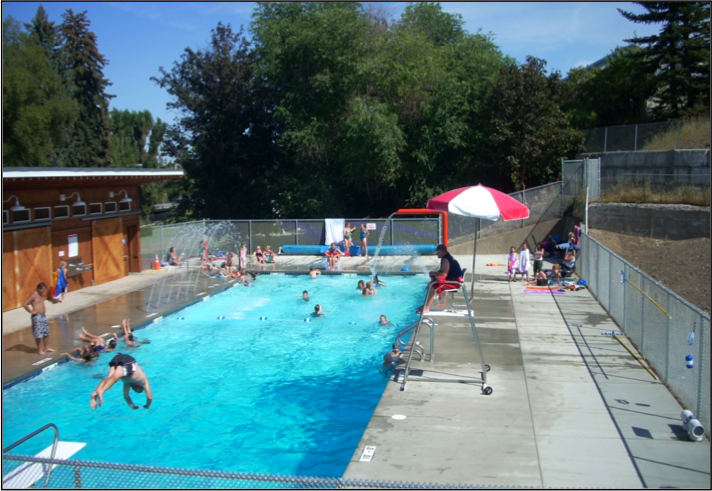 The new facility included site work, utilities, pool structure, bathhouse, concrete decking, diving and lifeguard facilities, and swimming pool “toys.” TD&H Engineering provided a feasibility study, geotechnical study, environmental documentation, surveying, and assistance with public involvement. Construction services included construction administration, plans and specifications, cost estimates, bidding assistance, and inspection.